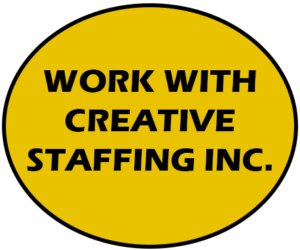 Job Seekers - Creative Staffing, Inc.
Why Should I Apply With Creative Staffing Inc.
Finding a job that is just right for you can feel like walking through a maze! You never know if what you’re doing is working. What you need is someone who has been through it all before. We understand how hard it can be to find the right job. 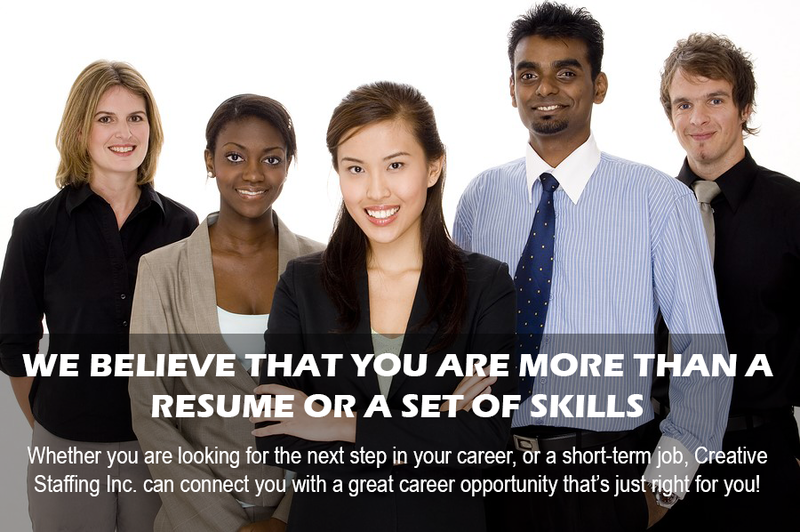 We go beyond the resume and take the time to find out more about you. Our interview and assessments are tailored to build as many talking points into your profile as possible. After you’ve completed the application and have been invited to interview, we market you to find the right company just for you! At Creative Staffing Inc., our experienced and dedicated recruiters are ready to connect you with the next level of success. 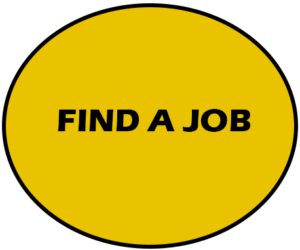 Find the position that best compliments your interests and experience and land your next opportunity today. • By completing an application with Creative Staffing, you will provide our recruiters with insight into your work history, education and type of jobs you are looking for. • Once you complete the application, our recruiters match you to open positions!